Some two dozen minor tremors have hit Mount Rainier, the active volcano towering over the Seattle metro area, over the past week. 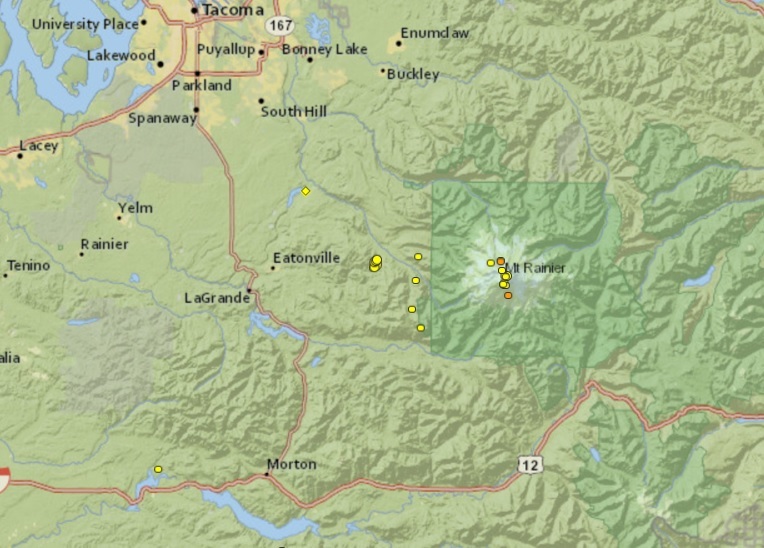 The strongest of the quakes had a magnitude of 1.6, according to the Pacific Northwest Seismic Network (PNSN) run by the University of Washington and the University of Oregon. Earthquakes with a magnitude of less than 2.5 normally cannot be felt, but are picked up on a seismograph. The 14,000-foot snowcapped volcano stands less than 40 miles from the densely populated area of Tacoma, Bellevue, and Seattle. While the frequency of the tremors concentrated near Mount Rainier's summit is higher than usual, similar bouts of quakes have shaken the volcano before and usually don't signify an imminent eruption, said Prof. Paul Bodin, PNSN manager of the University of Washington, according to The Seattle Times. "In the past, these swarms last a couple of days to a week or so and then die out," he said. Active volcanoes commonly produce some level of seismic activity. Earthquake swarms are less common but do happen repeatedly without leading to an eruption. Over 100 tremors hit near Soda Springs, Idaho, several weeks ago, starting with a 5.3 magnitude quake. The Yellowstone supervolcano is experiencing one of the most active years on record with over 2,300 quakes this year, the largest one at 4.4 magnitude. 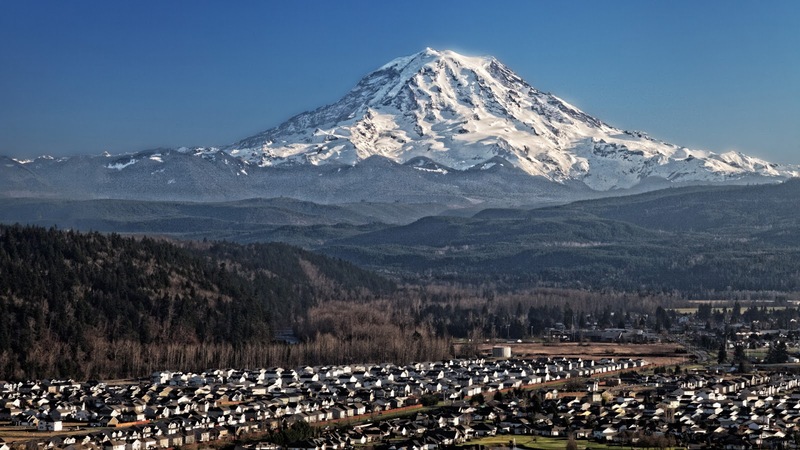 Bodin said the Mount Rainier quakes were too shallow to suggest a connection with deep magma movements. This week after a mag 5.7 strong quake Indonesian officials are worried Mount Agung volcano in Bali is about to blow.